I love listening to authors and illustrators speak about their process of writing and illustrating picture books. I hang on every word, jot down things I want to remember, and often find myself inspired and uplifted. Some speeches have moved me to tears, caused me to be overcome with adoration and appreciation, while other presentations stick with me many months and even years later. I have been blessed to hear many of my favorite authors and illustrators speak about their passion for children's literature. I have enjoyed hearing every one of them. Yet, in my mind there is a short list of presentations that embody all of the qualities I mentioned above. I have had the pleasure of listening to Will Hillenbrand talk about his picture books TWICE! Most recently at the Mazza Museum Fall Conference 2013 where he wasn't scheduled to speak, but made the appearance after a last minute cancellation. It was such a treat and thankfully many of my favorite elements of the presentation I will be able to share with you in this post. Will Hillenbrand has illustrated over 50 books for children including Kiss the Cow! by Phyllis Root, Whopper Cake by Karma Wilson, and a new favorite Bear in Love by Daniel Pinkwater. Will Hillenbrand's mother said that he was born with a pencil in his hand and she taught him that a pencil and blank piece of paper could become a story. 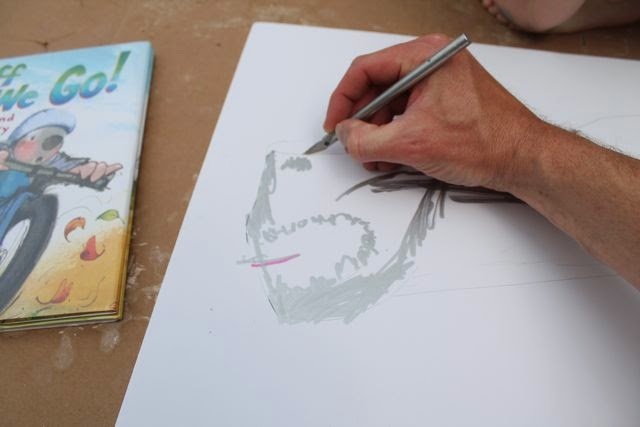 Will noticed that his mother would doodle while on the phone and one day he asked her to draw for him. "She showed me she loved me by drawing her home, the woods she walked through to go to school, the farm, the barnyard, her pet pig named Oogie. Her lap had become a theater and the story was finished when she drew Oogie's tail." (Mazza Museum Fall Conference 2013 Keynote Speech and here). 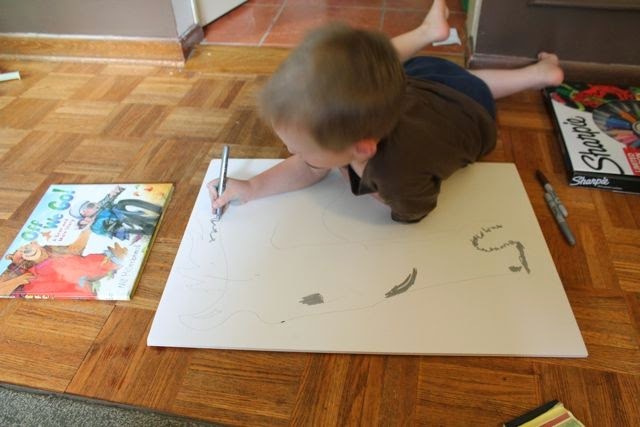 Over time, Will learned that his mother would place the drawing she did for him on the refrigerator for a couple of weeks and then take it down which meant it was time for another story. As I listened to Will Hillenbrand tell this story I felt inspired and uplifted as a father of four young children to continue to share stories with them through picture books. 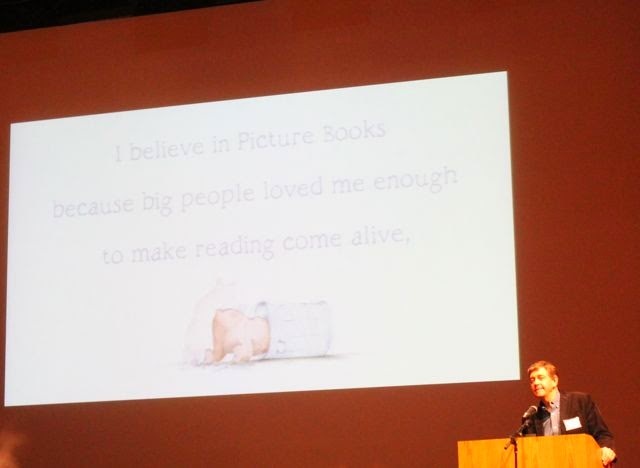 In the video below, which was part of his keynote speech, he said "I believe in picture books because big people loved me enough to make reading come alive, to guide me into enchantment with their own unique voice." (Mazza Museum Fall Conference 2013 Keynote Speech). It was this video that moved me to tears. Seeing this video left me feeling great adoration and appreciation of Will Hillenbrand's artwork and storytelling. If you are interested in watching more of his videos you can view many more on his YouTube Channel. Will Hillenbrand's whole speech has stuck with me until this day. Especially, the video above of his son riding his bike. 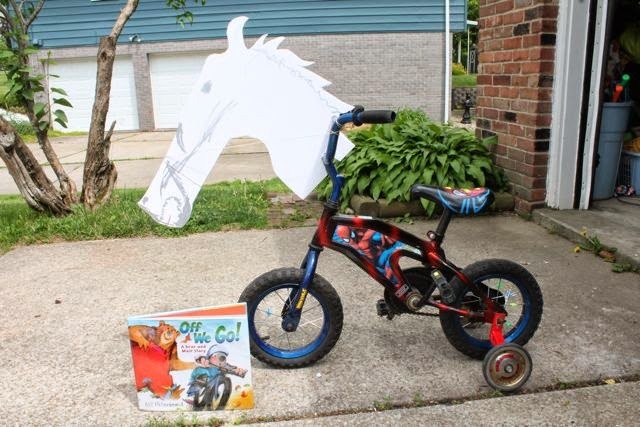 I thought it was a genius idea to make a horse to attach to the front of his son's bike to encourage him to ride more. I wanted to give it a try for my youngest son. It was my oldest son that happened to be with me when I purchased the foam board at Michael's craft store. He wondered what I was going to do with the foam board. I explained to him that Will Hillenbrand made a horse for the front of his son's bike because he liked knights and castles. 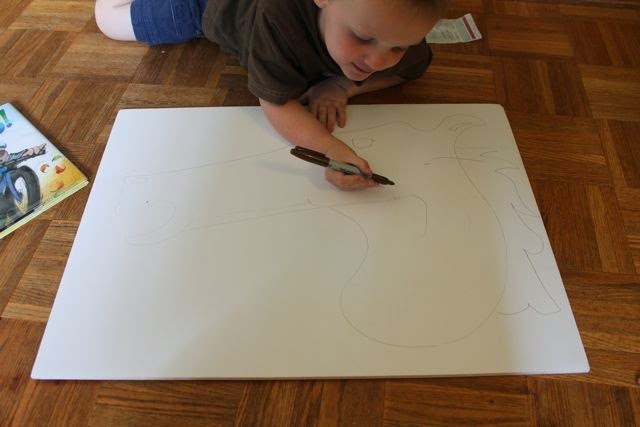 I told him that I wasn't certain I was going to make a horse for his brother. I thought maybe a dragon or something else. My oldest son said, "You should do the horse, and he can pretend it is Silver." It was the idea I had been waiting for! 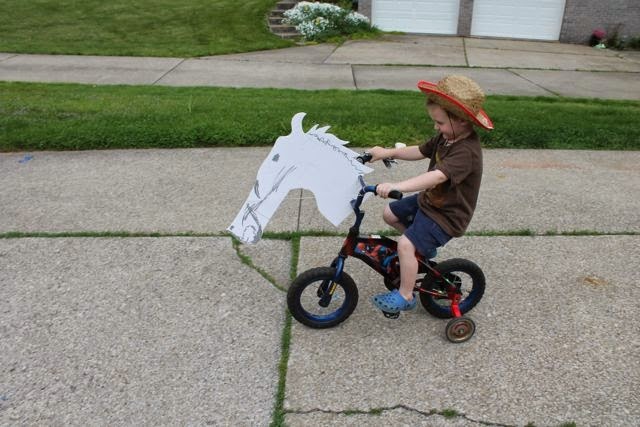 My youngest son loves The Lone Ranger and would be so excited to have his bike transformed into Silver, The Lone Ranger's horse. The next day, my son and I read Off We Go! and then I showed him the video from Will Hillenbrand about his son's bike. 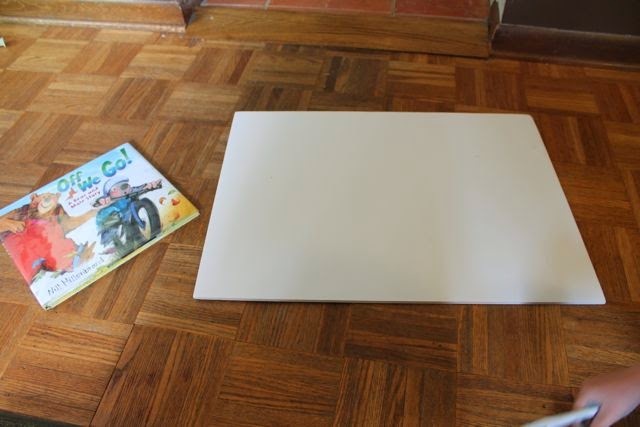 I laid our 18" x 24" piece of foam board on the floor and sketched Silver. We got out our Sharpie markers to add just a little bit of color. He quickly abandoned the black marker for the silver one! 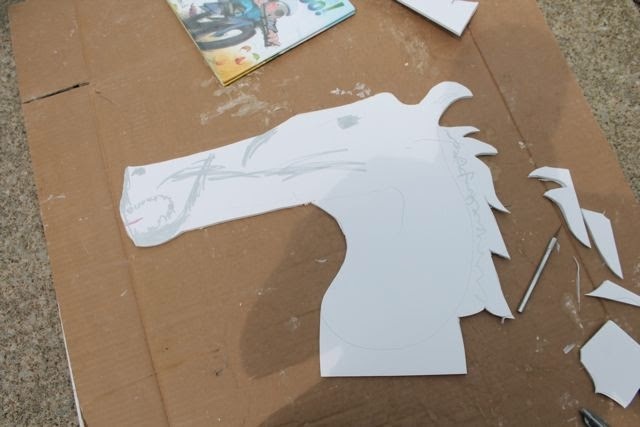 After he was happy with his coloring we went outside to cut out the horse shape. I laid down a piece of old cardboard and used an x-acto knife. 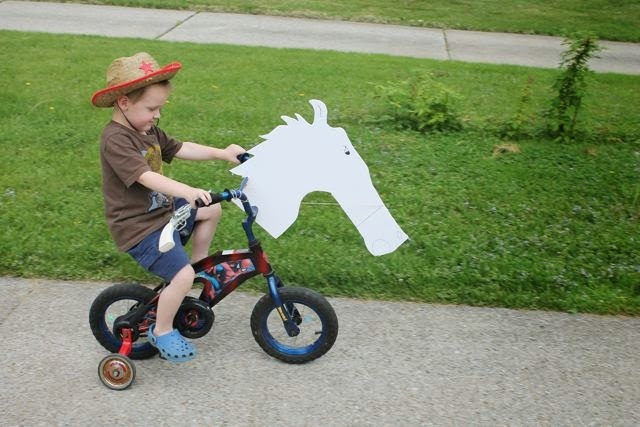 I left extra foam board at the bottom of the horse's head. 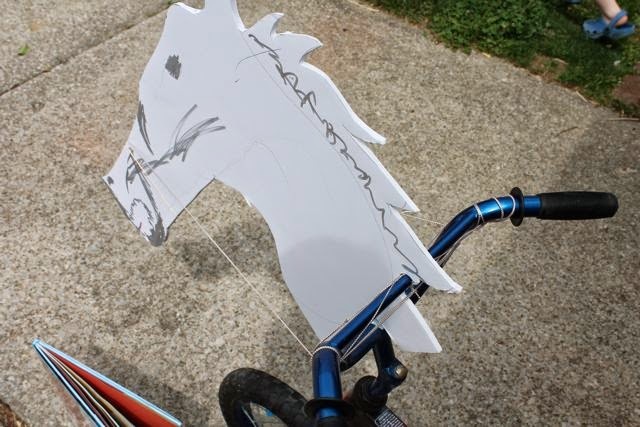 I lined up the horse's head on the bike then marked off where the handlebars would fall. 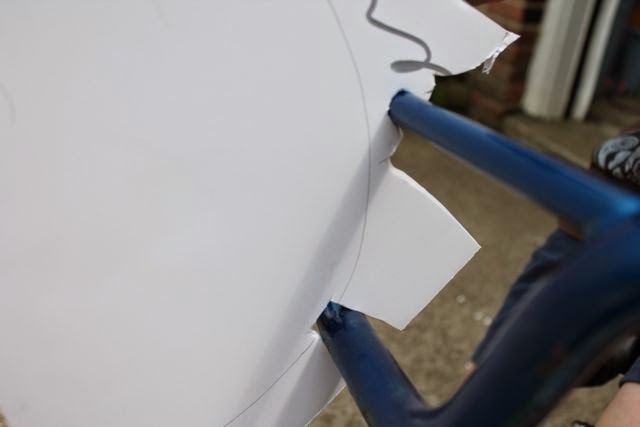 Then, I cut out notches. I then wrapped a piece of string around the nose of the horse and brought the ends of the string back to the handlebars. Then, I tied the string. By having even tension on the strings the horse's head was held steady in the middle. 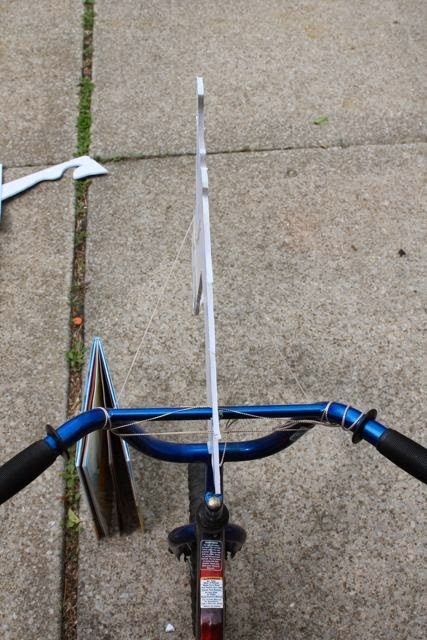 Here is another look at how I tied the string to the handlebars. Hi-ho Silver! Off we go! Of course, my son had to wear his cowboy hat! 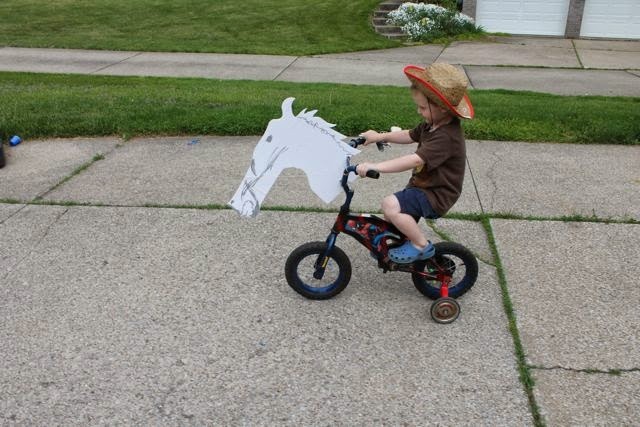 We couldn't find his Lone Ranger mask. He wore it bed one day this week and it was lost in the sheets! He turned Silver around and headed back up the driveway! If you are near Ohio in the month of July, I highly recommend attending the Mazza Museum Summer Conference. It is my favorite place to hear authors and illustrators talk about their work -- to be inspired and uplifted, moved to tears, overcome with adoration and appreciation and hear presentations that will stick with me for a long time. This summer's lineup is fantastic and should be a fabulous week!